This page is for the Definitive Edition. 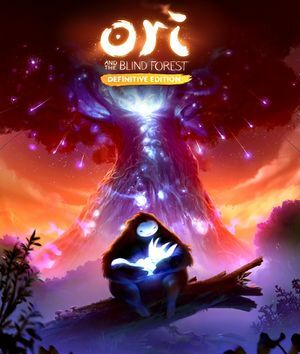 For the original release, see Ori and the Blind Forest. Microsoft Store version features Cross-save with Xbox One version. Original release included for free on Steam. Standard Edition or Limited Edition. Enabling the in-game Vsync removes the 60 FPS cap, but will result in a slight audio/video desynchronization throughout the game. Animations and/or cutscenes will still be locked to 60-30 FPS. The game doesn't support exclusive fullscreen, only borderless windowed. Driver forced Vsync has no effect on the game. Run the monitor at 60 Hz. Only downside will be the usual Vysnc added input lag. 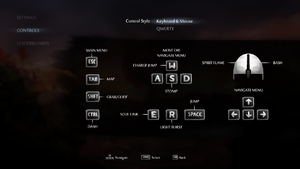 QWERTY/AZERTY toggle in game. See Remapping. XInput and DirectInput. Designed for XInput, XInput prioritized. Only for DirectInput controllers, essentially required. Open KeyRebindings.txt if you want to modify keyboard bindings and ControllerButtonRemaps.txt for controller. Change Activate X rebinding: false from the top of the file into true. Make desired changes and save the file. 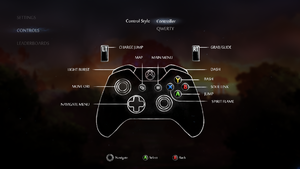 Neither controller axis nor D-pad can be rebound, resulting in a lesser experience with some controllers. More details are included at the bottom of the file. 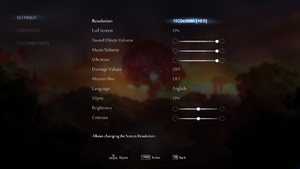 Use Helix Mod: Ori and the Blind Forest (DX11). Microsoft Store version only works with Windows 10. ↑ 2.0 2.1 File/folder structure within this directory reflects the path(s) listed for Windows and/or Steam game data (use Wine regedit to access Windows registry paths). Games with Steam Cloud support may store data in ~/.steam/steam/userdata/<user-id>/387290/ in addition to or instead of this directory. The app ID (387290) may differ in some cases. Treat backslashes as forward slashes. See the glossary page for details. This page was last edited on 17 April 2019, at 23:27.